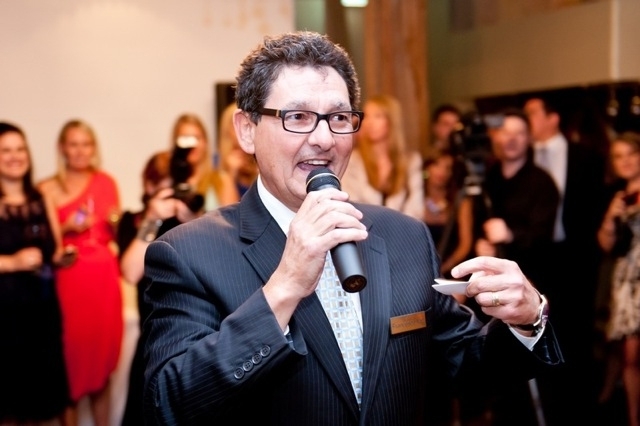 Since 1990 Frank has been working as a part-time Wedding MC & Event Compere in Sydney (Australia). His energy, passion, commitment and experience are reassurance that your function or event happens exactly the way you plan it. Frank specialises in all types of ceremonies, from formal and traditional to modern and contemporary. Whether you have a large 500+ guest list, or a smaller more intimate gathering in mind, Frank will be the “Master” of your ceremony. If requested Frank is a fluent Italian speaker and can also say a welcoming in Greek, Arabic, Assyrian, Croatian, Spanish and Portuguese. Many couples think the role of an MC is merely to introduce and make announcements. Although this may be true in many respects, there is a lot more to running an event than just making announcements. 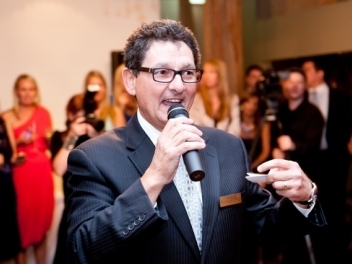 Hiring Frank as your MC can be the difference between a good wedding reception and a great one. From the moment he meets with you to discuss your ideas, he is working with you and assisting with your planning. As a professional he understands the amount of planning and preparation that you have put into your event. Frank will make sure it all happens how you want it, and to the very best effect. · Organising the night in accordance with the wishes of the bride & groom. · Represent your families and in particular you, the bride & groom. · Welcome your guests to the wedding reception on behalf of the families. · Introduce and welcome the parents, the bridal party & any special guests ie: grandparents, overseas visitors etc. · Officially welcome and announce the arrival of the bride & groom. · Make announcements as required throughout the night and keep guests and bridal party informed on proceedings ie: meals, entertainment, photo events etc. · Organise speakers and advise them when they are speaking and the order of speeches. Provide some last minute advice and reassurance if required. · Announce formalities & speeches, cutting of the cake, bridal waltz, guests dancing etc. · Organise and announce any special family, cultural traditions or presentations. · Liaise with DJ, photographer, video & house to make sure the nights format & timing is followed. · Ensure music, effects, etc all happen on time & to best effect. · Announce bouquet & garter, farewell to family & guests. · Keep the ceremony running to time. · As a professional Frank will pay particular attention to small details, especially the correct pronunciation of family names. 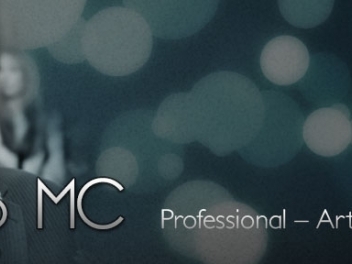 As your MC he will “quietly and discreetly” take control of the above tasks with energy, efficiency and professionalism. Having a professional MC take care of the small issues ensures a seamless, flowing but above all relaxed event.